Smallthorne is a small village with a rich history. The Smallthorne History and Memories website came about as an extension to a Facebook Group that was set up following an amazing response to an old photo of the roundabouts at the top of Smallthorne. 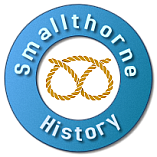 While the Facebook group is an excellent forum for discussion and remembering memories the website aims to preserve as much of Smallthorne’s history, publish on this website for the benefit of everyone who is interested as well as recording the present day for future generations. I was born and raised in Smallthorne, a village in Stoke-on-Trent. My mum and dad had settled in Duddell Road when I was born, the youngest of three, my sister the eldest and then my brother. Stoke in general was a place where men were hewn from coal, drawn from steel or cast in clay and the women were some of the hardest working I’ve ever met. 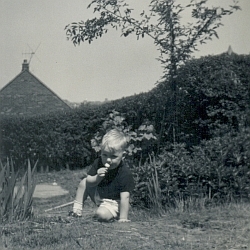 In my earliest memories of the red brick semi detached council house everyday was sunny, we had a back garden that my dad kept tidy with a manual lawn mower and hand shears for the hedges, the front garden was similar but not used as much. I then had to attend school and went to Smallthorne Infants and Junior school of which I have very fond memories before attending Stanfields High School. As a young man I worked and socialised in Smallthorne and my immediate family have stayed local whilst I spent short periods of time living in Biddulph and further afield before returning to Bradeley. An interest in family history sparked perhaps by a couple of television programmes but I aren’t exactly sure led me not just into researching my family and my surname but also my roots. I found through friends and social networking that I was not the only one to have an interest in my home village and this has added flesh to the bones of my family research. ... and a more up-to-date shot.